As Zach’s 2013 GT is a California Special model, it benefits from a few appearance upgrades from the factory. A rear spoiler, side scoops, accented hood vents with hood stripes, rocker stripes, and wheels are all part of the California Special appearance package that stems back to the first ’68 GT/CS. Having owned his 2013 coyote for less than a year, Zach is well underway to modding it. As he bought it, his ’13 came with Roush Axle-backs off the lot, giving it a nice and aggressive tone. After buying the car, he immediately switched out the stock shifter for a Ford Racing Short Throw Shifter, to improve and crispen the shifts on his MT-82. It was not long after that when he added a Ford Racing Boss H-Pipe with side exit exhausts. While mild sounding under normal cruising, a quick blip of the throttle reveals a much more aggressive and loud exhaust tone. Having not added any new parts for a few months, Zach was itching to make his next modification. 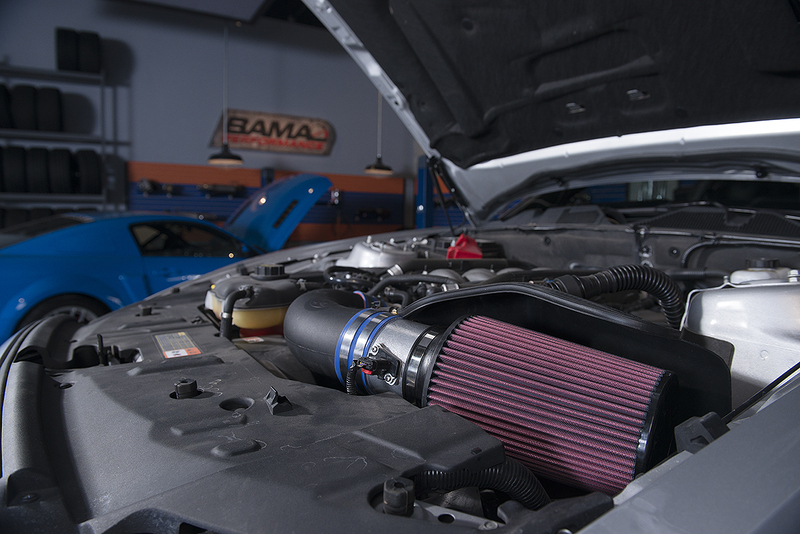 While looking to increase power and performance, yet maintain daily drivability, Zach decided to go for a tuner and intake combo, specifically a C&L Cold Air Intake paired with a Bama X4/SF4 Tuner and Tune. 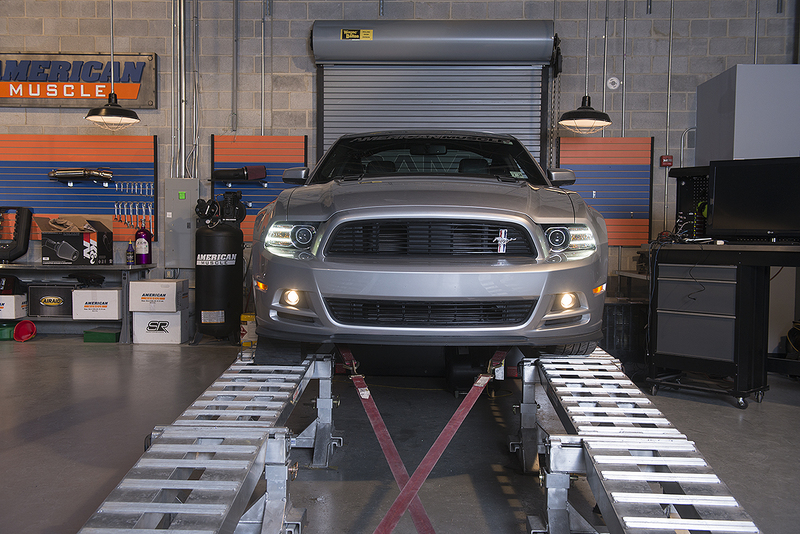 Before adding his new parts, Zach’s ’13 GT/CS hit the dyno to get a baseline reading before tuning. 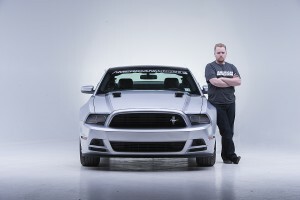 With the stock tune, Zach’s Mustang put down 369 RWHP and 372 RWTQ. With the stock data collected, it was time to kick up the power. After the quick install of the C&L Cold Air Intake and Bama V2 tune, the ’13 GT/CS was back on the rollers and put down a whopping 401 RWHP and 397 RWTQ. That is an impressive gain of 32 HP and 25 TQ. After putting the tune to the test on the road, Zach was all smiles. 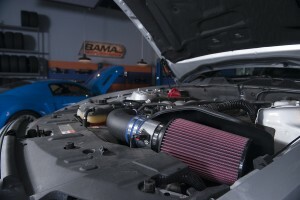 “I cannot believe the night and day difference the intake and Bama tune have made; the power is instant and abundant.” Needless to say, he was incredibly pleased with his newest mods. 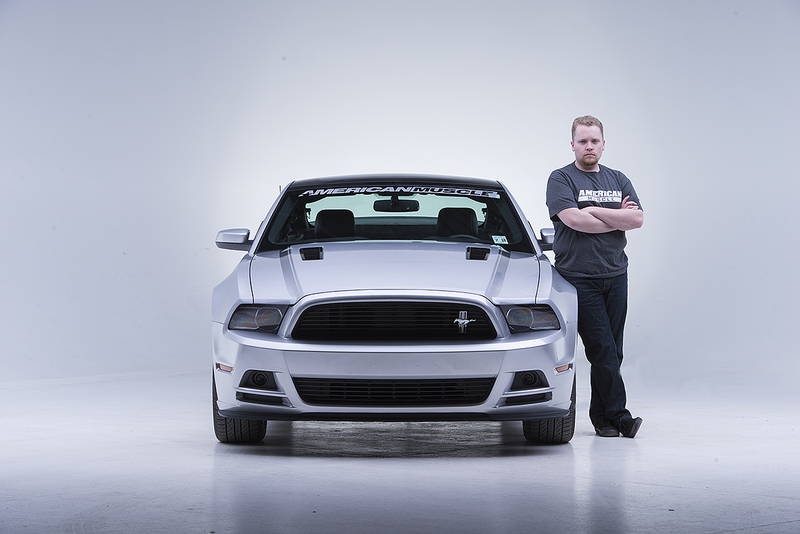 Knowing Zach, who is like many of the other passionate Mustang owners at AmericanMuscle, we don’t think it will be too long before he gets that modding itch once again.